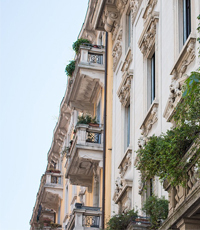 HomeLovers, a dynamic company specialized in short rent solution in Milan, allows the tenant to have some freedom of movement and a series of advantages compared to what is offered in any hotel. First, it guarantees best value for money and is therefore recommended for an economic factor. Also, it puts in a position to have more space and privacy and therefore be able to accommodate other people like friends or relatives. Finally, it does not oblige those who stay to have time constraints, as far as meals or returns are concerned. Find a home for short periods has never been easier. The multi-year managing experience of HomeLovers for dealing the needs for temporary rent in Milan, has allowed this company to become one of the most efficient and present realities in the area, with an extensive network of collaborators and an equally vast catalog of homes of all types, rendered available to customers who happen to be in the city and have the need to spend a short period in a familiar and comfortable environment.